GENEVA (Reuters) - A United Nations-led inquiry into the murder of Saudi journalist Jamal Khashoggi said on Thursday that evidence pointed to a brutal crime "planned and perpetrated" by Saudi officials. Khashoggi's killing by a team of Saudi operatives on Oct. 2 provoked widespread revulsion and tarnished the image of Crown Prince Mohammed bin Salman, previously admired in the West for pushing deep changes including tax reform, infrastructure projects and allowing women to drive. 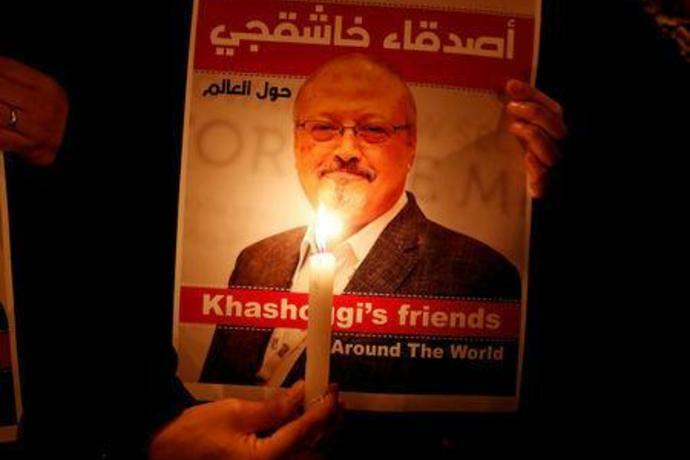 "Evidence collected during my mission to Turkey shows prime facie case that Mr. Khashoggi was the victim of a brutal and premeditated killing, planned and perpetrated by officials of the State of Saudi Arabia," Agnes Callamard, U.N. special rapporteur for extrajudicial summary or arbitrary executions, said in statement issued in Geneva. She said her Jan 28-Feb 3 mission to Turkey with a team of three experts "could not firmly establish whether the original intention was to abduct Mr. Khashoggi, with his murder planned only in the eventuality of this abduction failing." Saudi officials had "seriously undermined" and delayed Turkey's efforts to investigate the crime scene at its Istanbul consulate, where Khashoggi had gone to get papers needed for his wedding, she said. Neither the Saudi government communications office nor Turkey's foreign ministry gave immediate responses to requests for comment on the report. "CLEAN-UP OF THE CRIMES SCENES"
Delayed access to the consulate and residence and "clean up of the crimes scenes", had severely limited the potential for the Turkish criminal forensic investigation to "produce telling evidence", Callamard added. After Khashoggi's first visit to the consulate on Sept 28, Saudi planning included "the travel of the three teams that carried out the operation; the presence of a lookalike of Mr Khashoggi who was seen leaving the consulate; the presence of a forensic doctor; the escape of the teams' members and, of course, the disposal of Mr. Khashoggi's body." 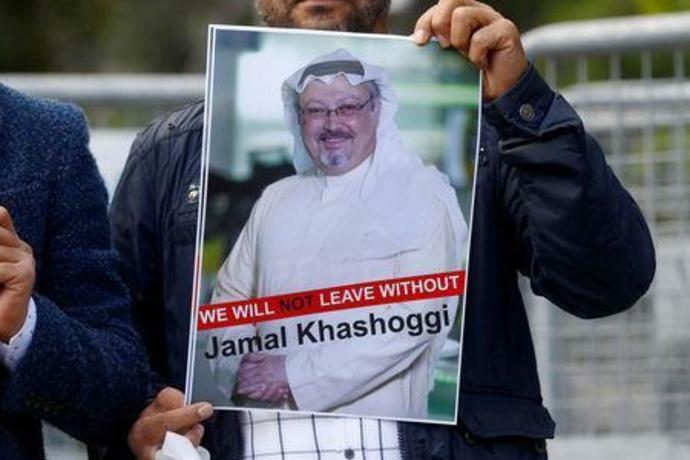 It was "unconscionable" that Saudi authorities continued to fail to disclose the whereabouts of Khashoggi's remains, "after having admitted that he met his death within their custody in their consular premises," she added. Callamard said her team had access to part of "chilling and gruesome audio material" of Khashoggi's death obtained by the Turkish intelligence agency. She had also been promised access to forensic and police reports critical to her inquiry. A Saudi public prosecutor's spokesman said late last year that 11 Saudis had been indicted and referred for trial over the case, with authorities seeking the death penalty for five. Saudi Arabia has denied Turkey's request for extradition of the 11 suspects, amid conflicting claims for jurisdiction, Callamard said. She had "major concerns" about the fairness of the trial proceedings and had sought an official visit to the kingdom. Callamard is due to submits her final report in June to the U.N. Human Rights Council, including recommendations on formal criminal accountability. Iraq will host senior parliamentary officials from arch-rivals Saudi Arabia and Iran on Saturday as Prime Minister Adel Abdul Mahdi seeks to bolster his country's nascent role as a mediator in the region. Delegations including the heads of parliament from Turkey, Kuwait, Syria and Jordan will also attend the one-day conference in the Iraqi capital to discuss regional security, diplomacy and economic issues. Abdul Mahdi recently returned from visits to Iran and Saudi Arabia, both oil-super-powers that have long been vying for dominance in the Middle East.